Sunday 23rd July, between 12pm and 8pm. 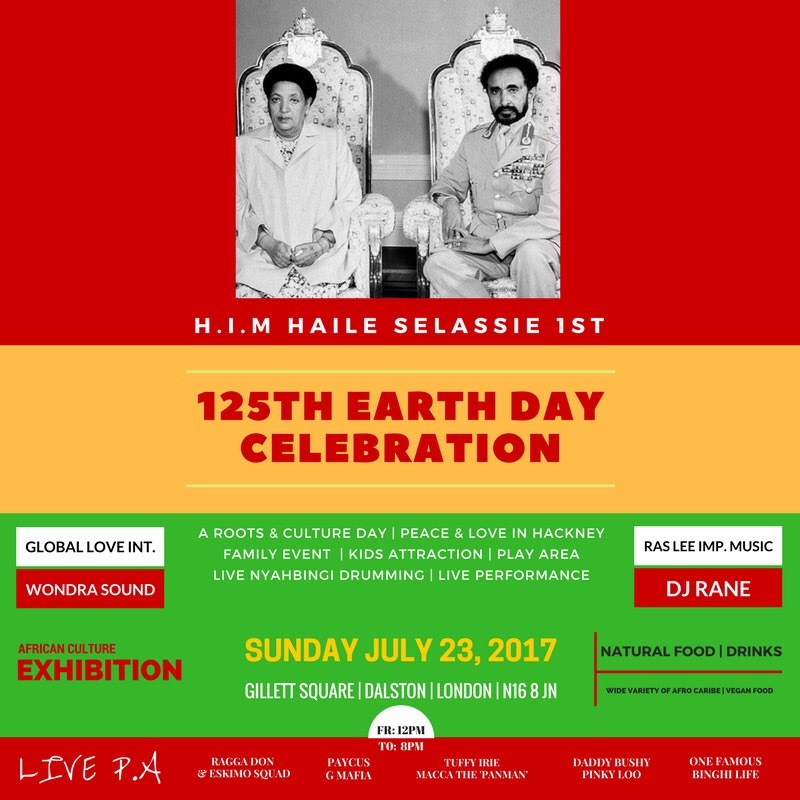 The event is organised to celebrate the 125th birthday of Ethiopian Emperor Haile Selassie, a defender of multiculturalism, human rights, equality and justice. In order to celebrate this special anniversary, Ras Amaris and Friends will present live performances, African drumming, exhibitions of cultural clothing, jewelry art and natural food and drinks. This is a free family friendly event, open to all ages.